I quite like this photo. Your eyes look stunning. I really like the exposure as well. Lovely picture. You are so pretty. Hat suits you! so sweet! I want this to hang on my wall.. just lovely. the makeup is perfection… very pretty! Wow that makeup is gorgeous! how exciting, cant wait, you look super pretty! like i said on twitter, you are STUNNING! hru fin bild som helst ju! Hi, since you love vintage and second hand clothing, I thought I would share this webshop tip with you – http://www.systerretro.com. They have awazing stuff and it’s not nearly as expensive as other webshops! I love your style, you inspire me so much. Your hair and makeup are so perfectly ’70s in this photo. Can’t wait to see the shoot! Love the softening effect on this pic. Your hair looks great too. Amazing picture and your blog is amazing, following you ! great hair. who doesnt love the 70s? can’t wait to see the pics. gorgeous. This is a well good photo! You’re so pretty :) ! 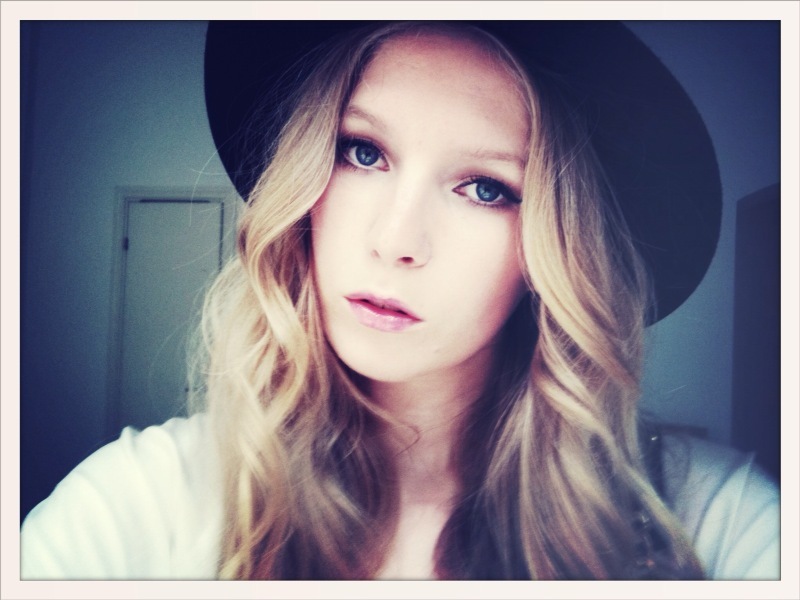 i adore your blog, and you’re very beautiful! WOW!amazing pictures. ;D I love your blog! I’m looking forward to seeing the pictures!